Babywearing is the heart-mind decision. It represents love and the most sincere effort to do the best for a child. On the other side, babywearing improves the psychological well being of the mother. In terms of the overall development of a child, babywearing represents a basic pillar of relational education. The child is born as a little, helpless, little being but equipped with instinctive tendency to bind to a close carer, especially to mother. Mother’s behaviour has an unconditional influence on the attachment bond between a mother and a baby. Only if the mother is delicate of feeling, i.e. she adequately responds to the signals of the child, is in the vicinity of her child, it may begin, so-called the save attachment, which is a prerequisite for healthy psychological development. From this point of view, babywearing is the ideal medium of immediate filling the needs of the child. If the mother is in constant physical contact with the child, naturally it is easier for her to respond to child’s signals. Baby huddled in mother’s arms feels her warmth and movements, hears her voice, heartbeat and experiences very similar sensations like in mother’s tummy and feels safe. The child is much calmer, less tearful and sleeps better. The world is seen as a safe place, therefore it is easier for a child to become independent, more confident, social and mentally resilient. One of the main benefits of baby wearing is a positive effect on baby’s cognitive development. 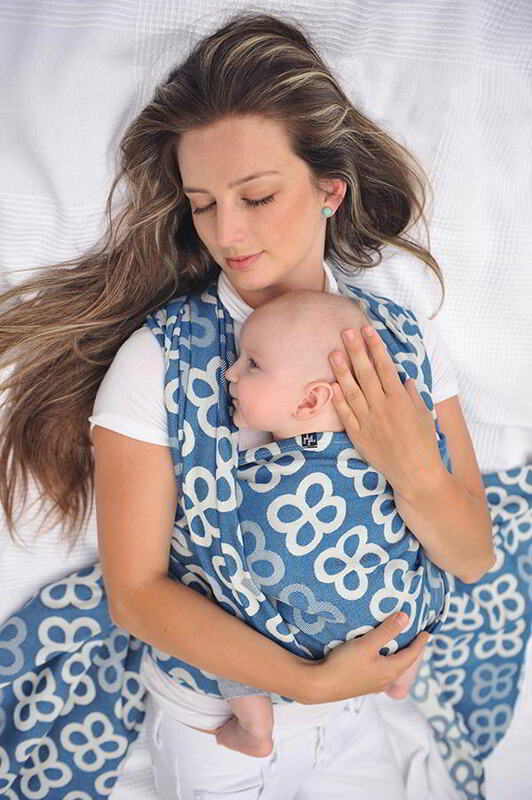 Babywearing is incredibly helpful in integrating baby into mother’s daily life. Baby benefits from spending time in the rich learning environment of the adult world. Baby is in a state of peace and security, can quietly watch the world around and learn new things. From the perspective of the mother, the constant care of a child is very difficult and often restrictive. Wearing a baby can ease the mother’s life. Mother is in contact with the child and at the same time she is devoted to other duties or hobbies. She is not cut off from social life, which is very important for the psychological well-being.